Listen to the sound of the trumpet, that is signaling you to come and dine, says the LORD. For the table is set for you in My presence, and you are to partake of My supper. It is a time of celebration. The feast is ON! Come! Your reserved seat is not going to be occupied by any other but you. This is where you belong, and you have access to Me and the table that is loaded with everything that you need, says the LORD. Indulge, says the LORD. For there is more than enough for you. You will not go out empty and lacking and wanting. FULLNESS is what I have for you! Loaded—and overflowing will My blessings upon blessings be for YOU who have longed for this refreshing! COME! COME! COME! Enjoy, for the time of refreshing has COME, and as you eat and drink at My table, you will know that there is no limitations, and you will rejoice and be glad, says the LORD. 38 Responses to Time to Celebrate! Lord, I draw to the table that I may feast with You. No one can take my seat because it’s been reserved for me! 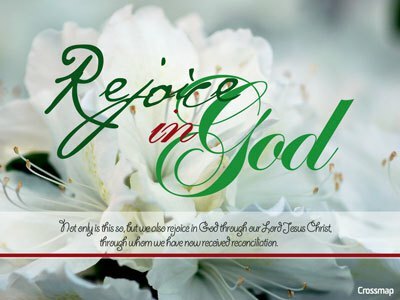 I will rejoice and again I say I will rejoice ! Amen Thank you Father I magnify Your holy name!! Amen I receive it! Wooo hooo!